Studio X at the Las Vegas-based Studio at the Palms, recently upgraded with a new Avid Pro Tools HDX system, sourced and supplied through GC Pro. WESTLAKE VILLAGE, CA, November 29, 2012 — Las Vegas-based Studio at the Palms, located at the fabulous Palms Casino Resort and which has hosted such artists as Lady Gaga, Ne-Yo, The Killers, LMFAO and others, recently upgraded with three new Avid Pro Tools HDX systems. 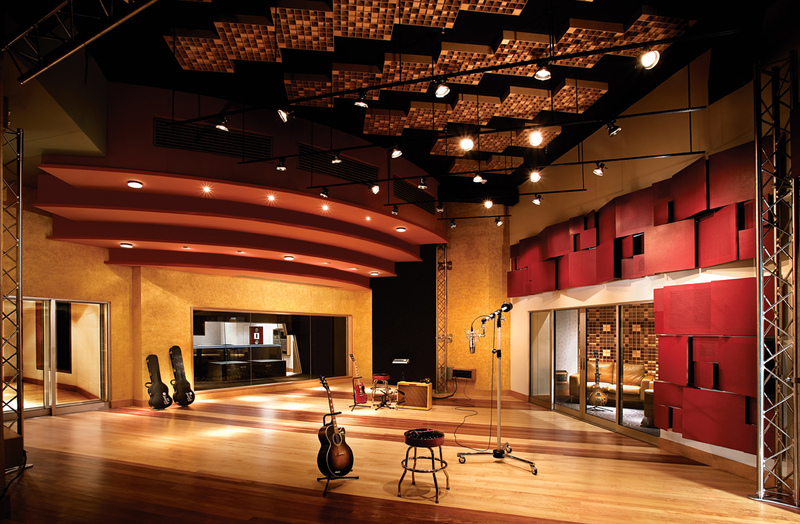 The new systems were installed in Studio X and Studio Y, along with a “floater” system that lets any space in the studio become a fully compatible recording environment. The HDX systems, sourced and supplied through Guitar Center Professional (GC Pro), the outside sales division of Guitar Center that focuses on the needs of professional users, join the other gear that GC Pro has sourced for the facility over the years. Thrall, one of the most respected studio managers in the entire industry (prior to coming to the Studio at the Palms, she supervised operations for The Hit Factory and Avatar Studios in New York City), says GC Pro has been an invaluable resource in keeping her studios at the cutting edge of music technology. “They really know their stuff, and they can get me what I need quickly and cost-effectively,” she says, noting that she’s purchased DSP and software system through GC Pro, as well as used them as a portal to the vast inventory of musical instruments and equipment available at Guitar Center itself. “My relationship with GC Pro goes back to the New York days, and wherever I’ve worked with GC Pro, it’s always been a great experience,” she adds. Photo Caption: Studio X at the Las Vegas-based Studio at the Palms, recently upgraded with a new Avid Pro Tools HDX system, sourced and supplied through GC Pro.